Steeltech’s Garden Rooms are possibly our most versatile product. 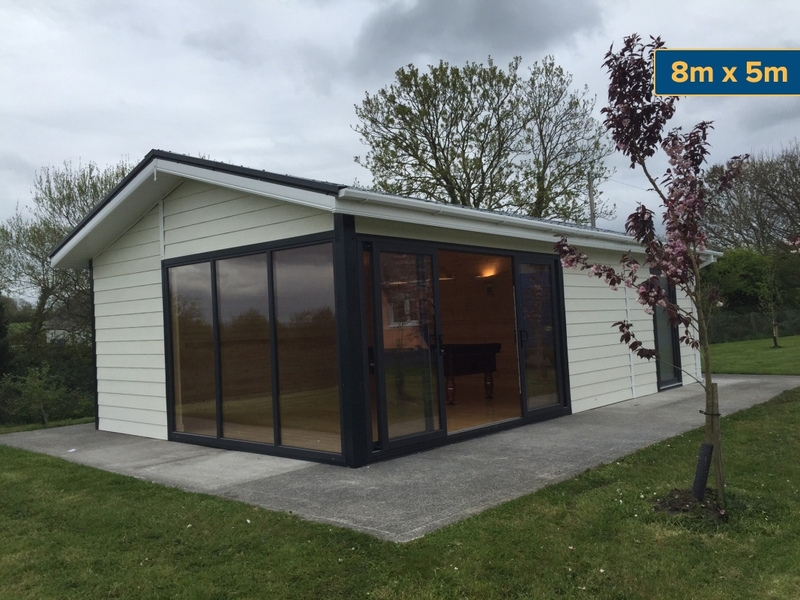 We have 3 different types of Garden Room, the Garden Chalet, Garden Studio and Home Office. The Steeltech Garden Chalet is possibly one of Steeltech’s most versatile products. It epitomizes the Steeltech motto which states that a Steeltech Shed can be anything you want it to be. The Steeltech Chalet is available in 1, 2 or 3 bedroom versions. The sales team are happy to sit down and help you create the building that you want customised to suit your individual requirements. Do you need extra living space for Family members? Do your children want their own private space? Expand your home with this innovative, attractive and stylish Garden Chalet. Chalets delivered and erected in less than 1 week. The garden studio above is just one example of the diversity that Steeltech can offer you. Why not drop into one of our showrooms today and speak with our sales team to further develop your thoughts and ideas. Remember a Steeltech Shed, It is not just a garden shed, It can be anything you want It to be. This versatile product can be used for virtually anything. Some of our customers are using it as a simple sunroom. It has also been used by artists as their studio as it let’s in an immense amount of natural light. Some other ideas have been put to us, a snooker room and also it has been suggested that it would be excellent for entertaining family and friends. Why not use it to dine out?